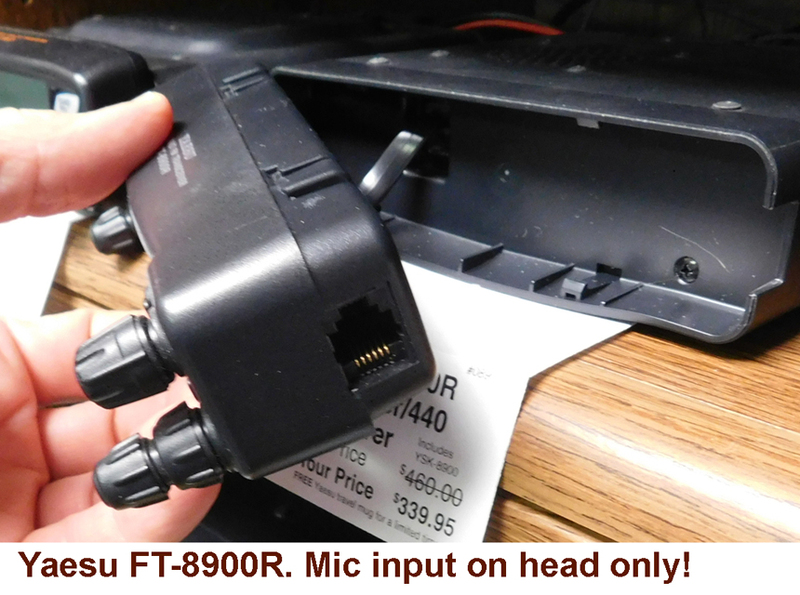 The Yaesu FT-8900R quad bander gives you incredible power and flexibility on the road. Operate 10 meters, 6 meters, 2 meters and 70 centimeters. High power output is featured with 50 watts on 10, 6 and 2 meters and 35 watts on 430 MHz. 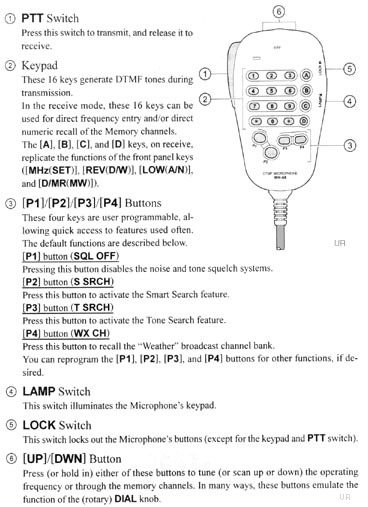 It is like having two radios in one with dedicated Volume and Squelch controls on each side. 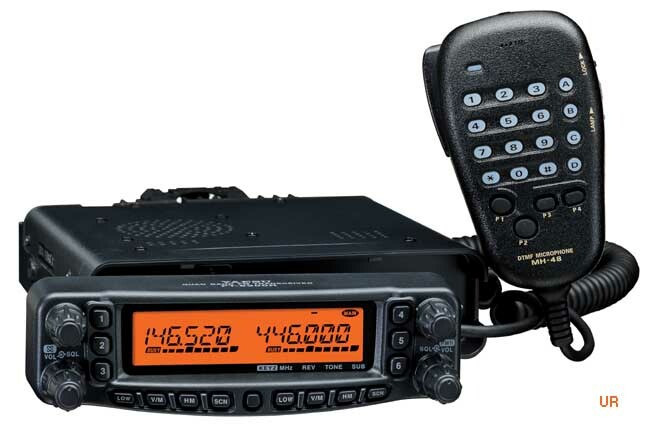 Built in features include: duplexer and CTCSS/DCS Encode/Decode. Over 800 memories are available. It is WiRES compatible. 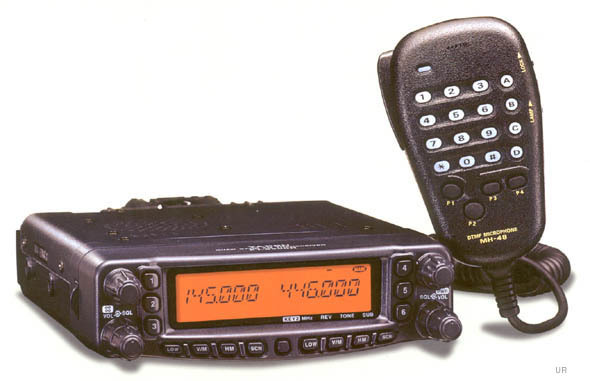 The FT-8900R features Yaesu's ARTS Auto-Range Transponder System, important in search-and-rescue applications. 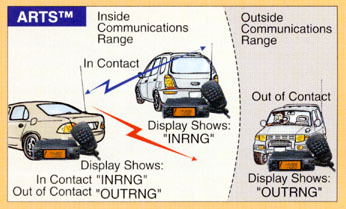 ARTS provides a "hand-shake" with other ARTS equipped transceivers and displays out of range or in range. A six character CW ID is also provided for your station every ten minutes during ARTS operation. 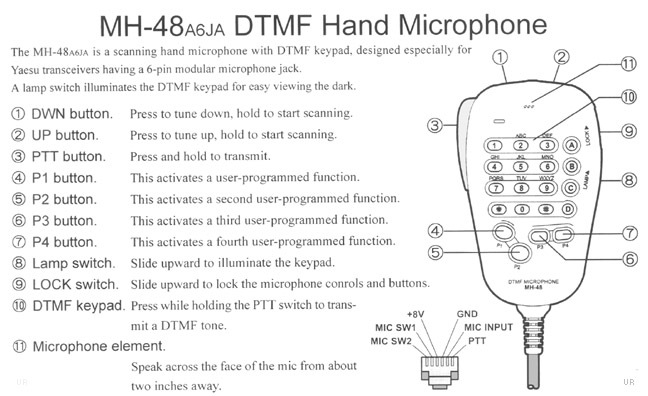 The FT-8900R comes with a mobile mounting bracket, DC cord and MH-48A6J Up-Down, illuminated DTMF microphone. 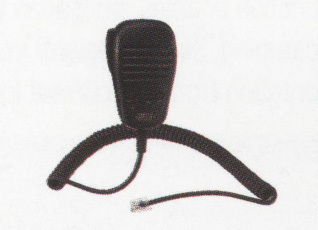 The mic plugs into the head. 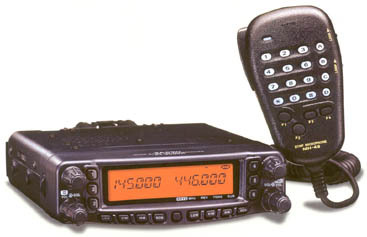 The Diamond Company has designed an antenna expressly for this radio called the Diamond CR8900. 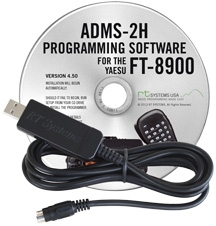 #3519 ADMS-2H Programing software CD with USB-29B computer cable. 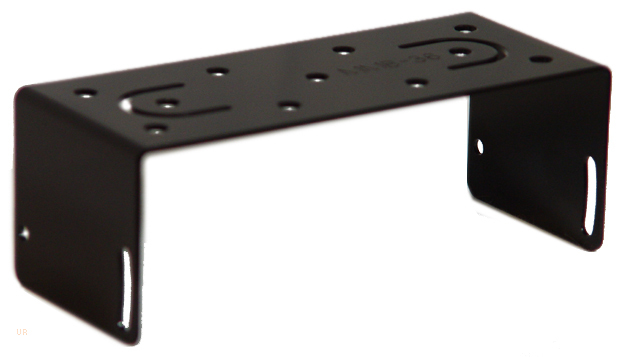 #0751 MMB-36 Standard mobile mounting bracket only. [As supplied]. 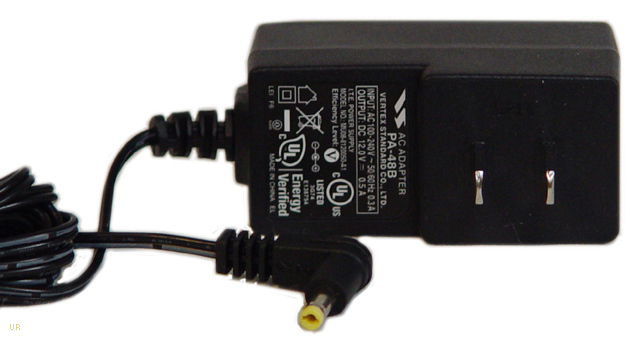 NC-72B Power supply for HRI-100 option. #5854 PA-48B Power supply for HRI-100 option.